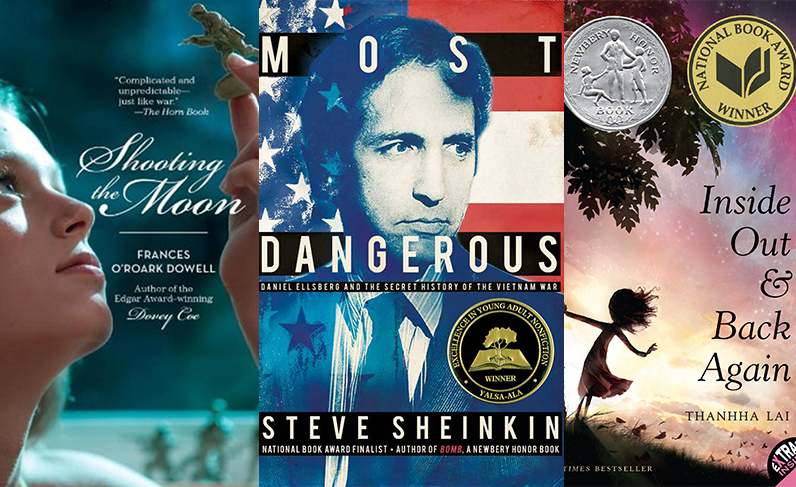 Youth age 9 – 12 and your adults, join us for a discussion of the book “Most Dangerous: Daniel Ellsberg and the Secret History of the Vietnam War” by Steve Sheinkin facilitated by a local librarian. Explore artifacts and archival materials related to the book, a family friendly mini-tour of The Vietnam War: 1945 – 1975, and a snack! 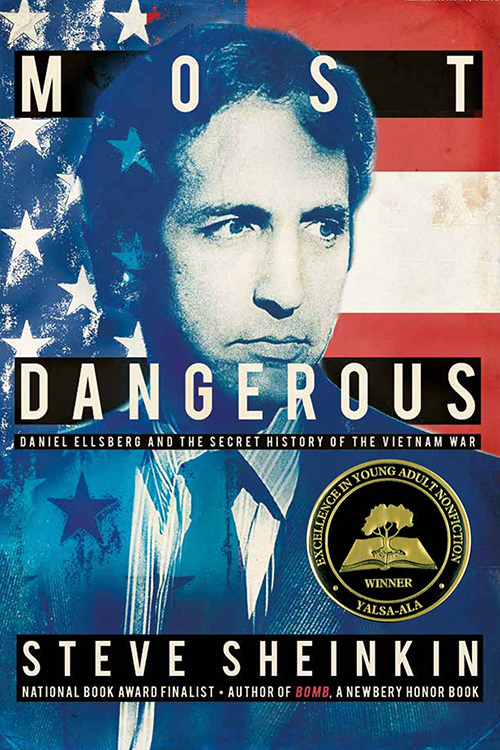 One copy of “Most Dangerous: Daniel Ellsberg and the Secret History of the Vietnam War” is included with registration. Additional copies of the book are available for sale in the museum shop. You can also find copies from the eiNetwork’s online library catalogue. From Steve Sheinkin, the award-winning author of “The Port Chicago 50” and Newbery Honor Book “Bomb” comes a tense, narrative nonfiction account of what the New York Times deemed “the greatest story of the century”: how whistleblower Daniel Ellsberg transformed from obscure government analyst into “the most dangerous man in America,” and risked everything to expose years of government lies during the Nixon / Cold War era. On June 13, 1971, the front page of the New York Times announced the existence of a 7,000-page collection of documents containing a secret history of the Vietnam War. Known as The Pentagon Papers, these files had been commissioned by Secretary of Defense Robert McNamara. Chronicling every action the government had taken in the Vietnam War, they revealed a pattern of deception spanning over twenty years and four presidencies, and forever changed the relationship between American citizens and the politicians claiming to represent their interests. The investigation that resulted–as well as the attempted government coverups and vilification of the whistleblower–has timely relevance to Edward Snowden’s more recent conspiracy leaks.